Bristol Power Flushing Company offer a professional power flushing service for all types of central heating systems in all types of premises, from domestic to commercial and light industrial. 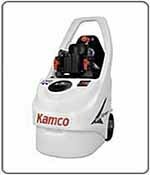 We use only the best Kamco professional power flushing equipment to get the job done! Our engineers and plumbers have the highest level of experience and training in all aspects of power flushing and central heating systems. We guarantee to give you a professional service and bring warmth back to your home, restoring the efficiency of your central heating system and saving you money on your energy bill. We cover a large area of South West England and South Wales including; Bath, Bristol, Cardiff, Frome, Gloucester, Oxford, Stroud, Taunton, Tetbury, Worcester and Yeovil. 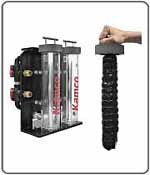 All heating systems including micro-bore cleaned every time, guaranteed! 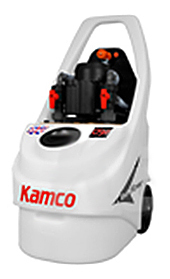 We only use Kamco Professional Power Flushing equipment and chemicals to get the job done, and we provide a recognised certificate with every power flush! Endotherm™ is a new revolutionary central heating additive, and when dosed to a wet heating system it has been proven to reduce energy costs by 15%. When dosed to a system after power flushing to remove scale buildup and magnatites (magnetic sludge), the final results have been even better, giving 30% less energy use. Get Endotherm™ Working For Your Central Heating! Water in a heating system, as with all fluid, has a surface tension, so with the natural imperfections within the makeup of the system (especially within the radiators), optimal thermal contact is not made. When dosed with 1% Endotherm™ of the total wet capacity, stably changes the surface tension by over 60%, whilst remaining non-corrosive. The surface tension is changed by breaking down the hydrogen bonds within the water, making it "wetter", this allows it to penetrate the imperfections within a radiator, boiler tube, or heat exchanger, increasing the thermal contact, which in turn improves the efficiency of heat transfer. Radiators will heat up quicker, stay hotter for longer in between boiler cycle, and allows a room to get up to its desired temperature more efficiently, burning less fuel and reducing your carbon footprint. How old is your heating system - 3 years or more. This includes your radiators, under floor pipework and central heating boiler. 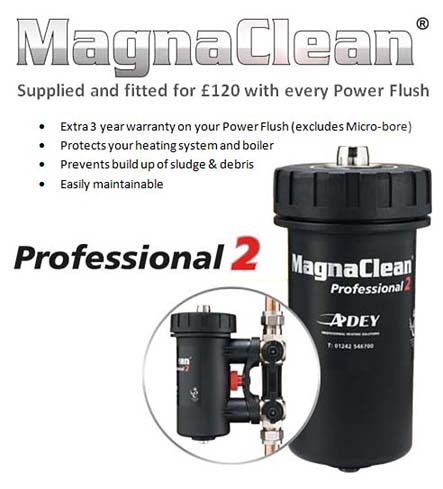 Even if you have had a new boiler replacement recently, you may still benefit from a Power Flush if one wasn't included in the installation (most leading boiler manufacturers recommend a thorough system flush before the installation of a boiler to remove any debris, sludge and scale). The only way to do this effectively is by Power Flushing. 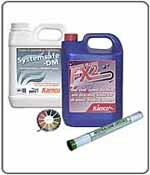 When was the last time your heating system was flushed / cleaned and an inhibitor added to protect the system (5 years or more). 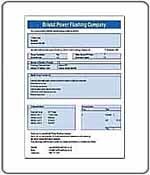 Why Choose Bristol Power Flushing Company?